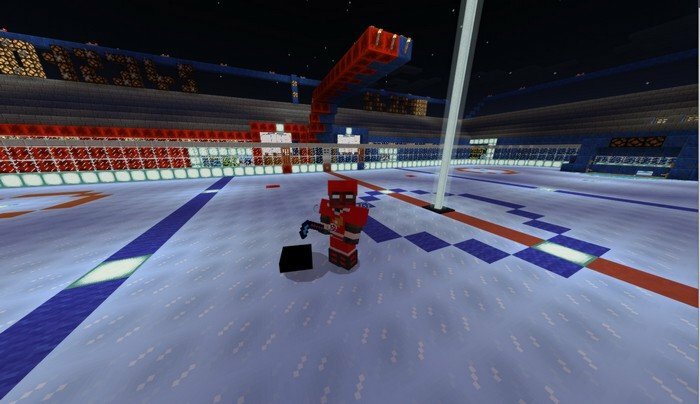 If you're a fan of winter sports, why not to play hockey in Minecraft PE with your friends? The more friends you will engage to play the game, the more fun you can get. 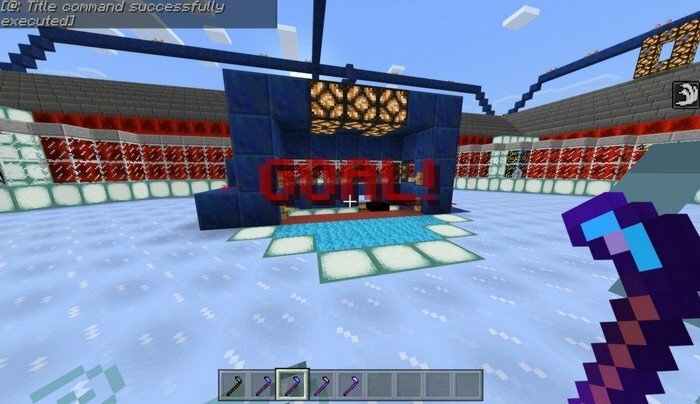 The objectives are pretty the same as for real hockey - hit a puck and try to score as much goals, as you can. Don't try to hit or kill the player or you will be disqualified. Divide onto to two teams. Stand on the center of the field and start the countdown. Punch a puck to score as much goals, as you can. Hitting a player intentionally will lead to 1 minute disqualification. 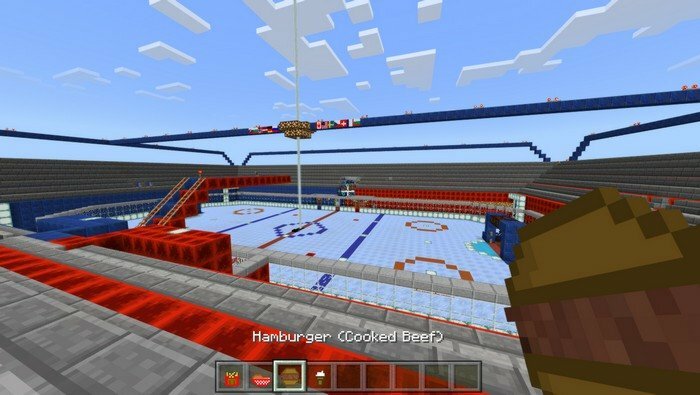 If you're a spectator, you can be a referee or eat hamburgers on the tribunes. Different hoes has different knockback power. After you score a goal, hit a cart in the center to spawn puck.